National Police Week is celebrated annually during the week of May 15th and each year, members of law enforcement pause and reflect upon those who gave the ultimate sacrifice. Police Officers who die in this profession don’t lose their lives - - they give them. Every officer knows and willingly accepts the risks involved every time they begin their next tour of duty. When a brother or sister in blue is lost, we often use his or her experience to remind us that tomorrow is not promised to anyone. We attempt to gain some insight on what went wrong in the hope we can use the scenario as a training opportunity and learn better techniques to protect ourselves. During National Police Week, we also have somber reminders of those officers who took their own lives. Unfortunately, these scenarios are discussed in whispers as other officers speculate the reasons why or develop hindsight that reveals many warning signs. Despite those signs, there are not many confrontations. Police officers are extremely intuitive when it comes to reading the emotions of others. We have to be. Every police officer I know can tell when a person with whom they are interacting transitions from being cooperative to someone who poses a risk. This profession forces us to hone our observation skills because it is a matter of survival. It seems counter-intuitive, but the skills that we’ve perfected on the street are not always applied to those with whom we have personal relationships. Co-workers are no exception. Throughout my career, I’ve often heard officers say they’re worried that one of their colleagues is going to “eat their gun”. The phrase befits an officer going through a horrific personal or professional problem. No matter what the scenario, we talk amongst ourselves but rarely reach out to the officer in need. 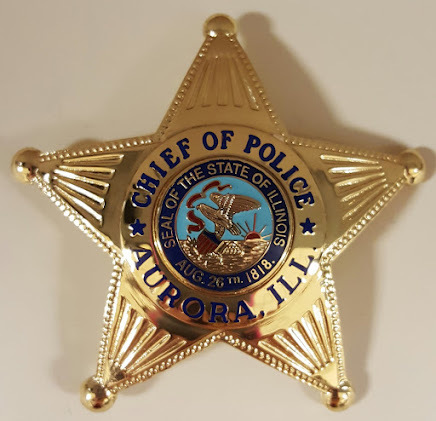 For the Aurora Police Department, this topic remains especially painful. A beloved sergeant committed suicide in 2004. His closest friends knew he had been detached and distant but never speculated he was about to take his own life. Those closest to him live with the internal conflict that begins with the statement, “If only I had…done something…asked the hard questions…pried.” Suicide leaves so many unanswered questions and we never know if our intervention would have saved a life. I know of one officer who pulled himself through his own darkness in solitude. He recalls being on midnight shift several years ago when he was going through a bitter and angry divorce and felt as though he had reached the point of desperation and hopelessness. Because of his personal problems, he was drinking more. His productivity at work suffered and he made some mistakes that resulted in disciplinary action against him. One night while working, he drove to a remote location and got out of his squad car. He carefully removed his duty weapon from his holster and placed it to his head while pleading out loud to his higher power, “Give me one reason not to end it all.” As he worked up the nerve to pull the trigger, he glanced over at the picture of his children that he painstakingly placed on the visor of his squad at the beginning of each shift and he lowered his weapon. He now realizes that his children’s faces had saved his life that night. Today, he is happily remarried and a productive police officer who had to live through the darkness in order to see the light. Police officers are problem-solvers by nature. Unfortunately, some are better at solving the problems of others while their own lives are in disarray. The job teaches us to hide emotion as a coping skill - a skill that is necessary to shield us from the suffering we see on a regular basis. It doesn’t teach us to ask for help when we need it and that can be the one thing that saves us from ourselves. The Brotherhood is a LIE. "Plus, I plan to stalk them using my keen detective skills inherent with the trade."